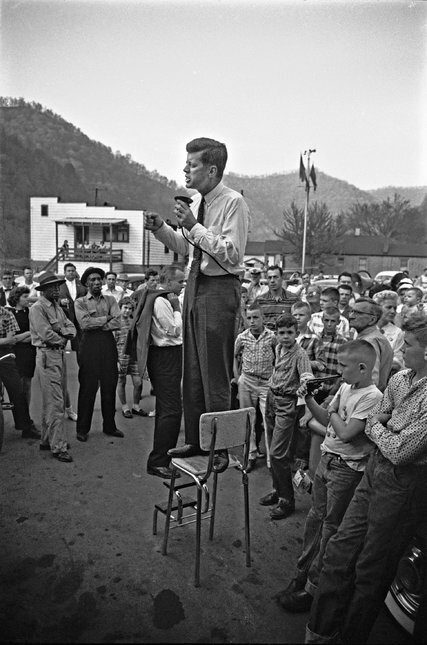 John F. Kennedy in West Virginia in 1960. I am a liberal from West Virginia. That didn’t used to be unusual. I remember when the people of the state were liberal, and what liberalism meant for their lives. In 2016 a majority of West Virginia’s voters supported Donald J. Trump, and many expressed outright hatred of Barack Obama. But when I was last active in the state’s politics, in 1960, the state was a leader in desegregating schools in response to the Brown v. Board of Education decision. John F. Kennedy won the state by a wide margin, and I was one of an overwhelming majority of Democrats elected to the state’s House of Delegates — along with a handful of Republicans. Today that tiny minority is the majority. The year 1960 was part of what I call the Roosevelt era, a period that lasted roughly from 1933 until 1965. It was characterized by a politics and an ethos of generosity. It began with individual acts of generosity during the Depression where mothers, barely among the haves themselves, fed the hungry men who came to their kitchen doors. It flowered as Americans supported a government that gave both jobs and hope to the down and out and enacted New Deal laws that helped make incomes more equal than they had ever been.